CAMBRIDGE, Mass. 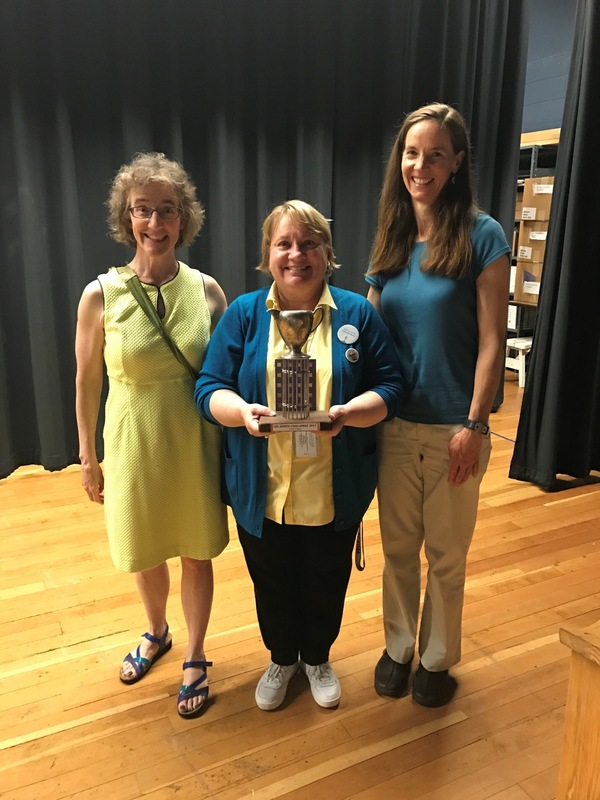 – June 29, 2017 – The Morse School, Tobin Montessori School, and Fletcher Maynard Academy recently received trophies for earning first, second, and third places, respectively, in the annual Cambridge Public Schools (CPS) “Go Green Challenge.” This was the second year in a row that the Morse School won first place. “As the Principal of the Morse School, I am so proud of both the students and the staff for taking on the Go Green Challenge for the second year in a row! I see daily evidence of the children and adults making small changes in their practices and habits and being more aware than they ever have been about recycling, and re-purposing. This shift is so meaningful because being aware is only the first step. Changing the practice is what will really make the difference in the long term!” shared Morse School Principal Patricia Beggy. “We are very excited to receive second place in the CPS Go Green Challenge! This year the Tobin students have been learning about the powerful impact they can have on our planet and they have worked hard to recycle, compost, reuse, and conserve energy!” shared Principal Jaime Frost. The trophies each school received were hand-made from reclaimed materials by life-long Cambridge resident and artist Bobby Brown. School Committee member Patty Nolan presented the awards along with Meryl Brott, Recycling Program Manager for the Cambridge DPW. “It’s wonderful to see the schools so engaged in protecting the environment. Teachers have an incredible opportunity to foster environmental stewardship in their students. We appreciate all they do towards this end, and appreciate their showing their efforts through participating in the Go Green Challenge,” reflected Brott. The annual Go Green Challenge is a competition between the elementary schools that is run in partnership with CPS Office for Sustainability and the Department of Public Works (DPW). It encourages schools to “go green” by participating in a variety of environmentally-friendly activities and actions, such as reviewing how and why they compost, using old materials to make something new, turning off lights, having a blue recycling bin next to each trash can, and printing double-sided. Classrooms have a worksheet that they fill out and hang outside their door; the three schools with the highest percent participation win. 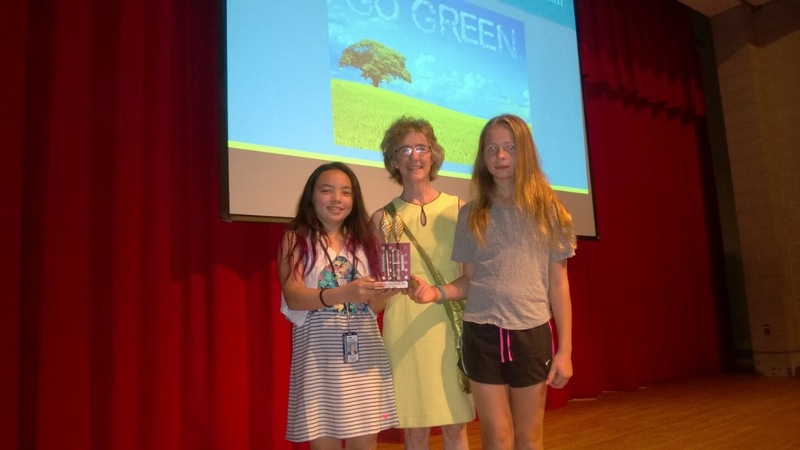 Photo 2: Patty Nolan, Cambridge School Committee member presents Tobin Montessori School fifth grade students Emi Rodes (Left) and Vivienne Little (Right) with the 2nd place trophy for 2017 Go Green Challenge.